Stand Up Paddle Surfing: Speaking of Manny Vargas, check out these stando shots! Speaking of Manny Vargas, check out these stando shots! The captions for the next few frames will be repetitive. How sweet was that wave? more rights like that and I'd die happy! 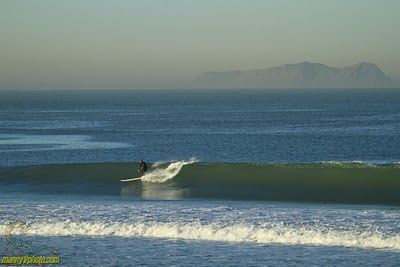 at the shores a few weeks ago and thought i spotted a green bay cheesehead bobbin' in the surfline. paddled over to check it out and whoaaa...surf/photog extraordinaire manny vargas! what a great dude...biggest smile in the water. if the yellow orb is spotted in local waters, suggest any readers say "hi", discreetly position selves, then check manny's website to buy some very cool pics.